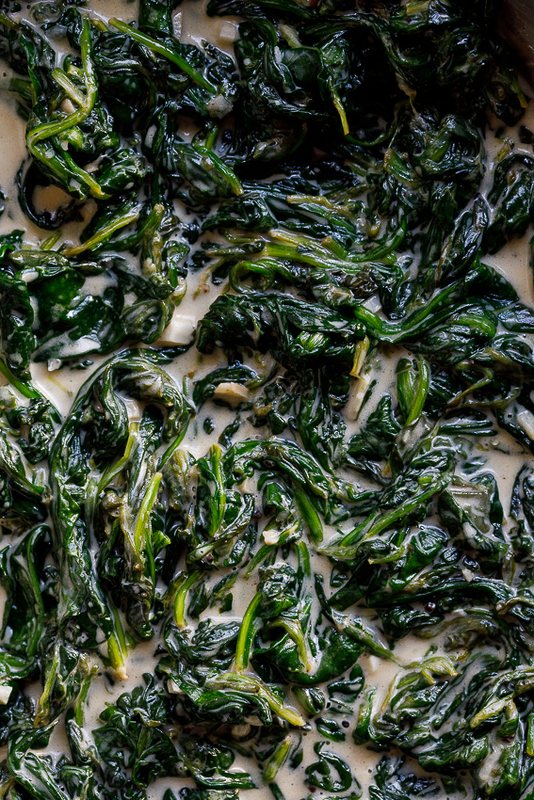 This easy creamed spinach is absolutely delicious and a super quick side dish. It also makes the perfect omelette filling and is excellent on grilled cheese. I’m so excited to share my easiest but most delicious version of creamed spinach. I make this creamed spinach recipe more than I’d like to admit. 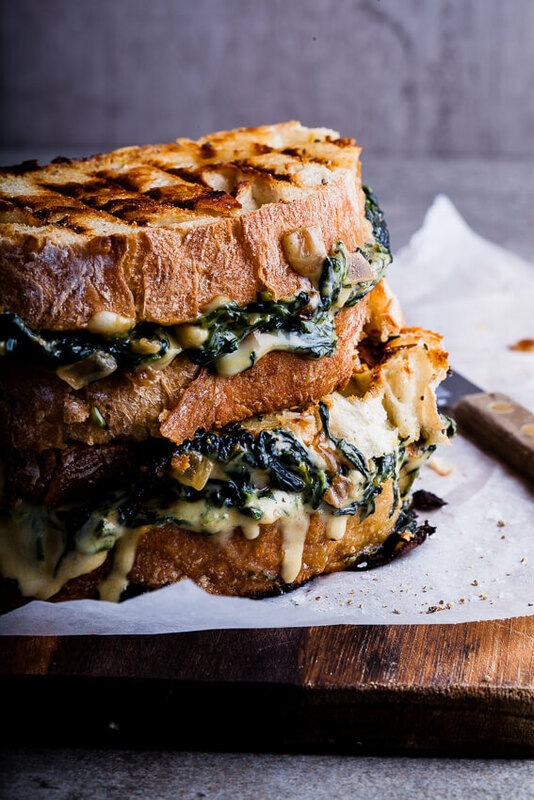 It is served alongside grilled or roast meat and fish, for breakfast on toast with eggs and bacon and crammed into completely decadent grilled cheese sandwiches. I have been known to eat it straight out of the pan for a lazy lunch too. It’s just so good! This recipe takes all of 10 minutes to throw together and is vegetarian, gluten free and low carb. I mean, what more could you ask for? 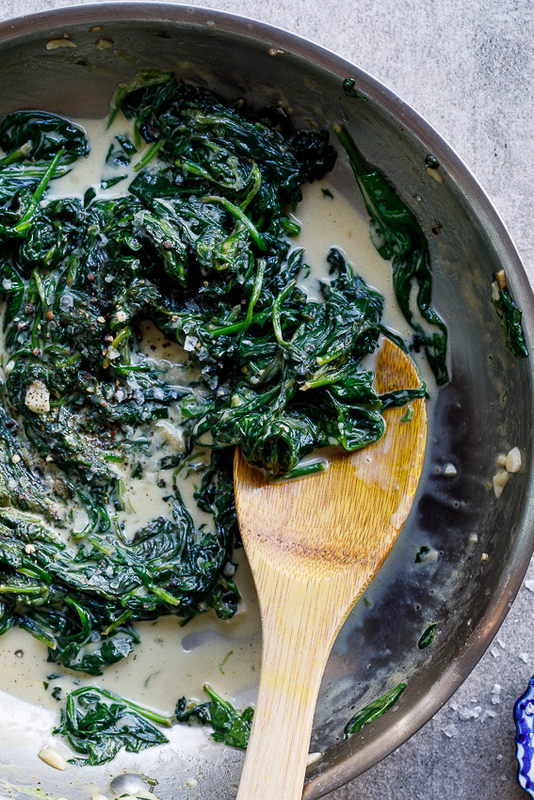 How do you make fresh creamed spinach? 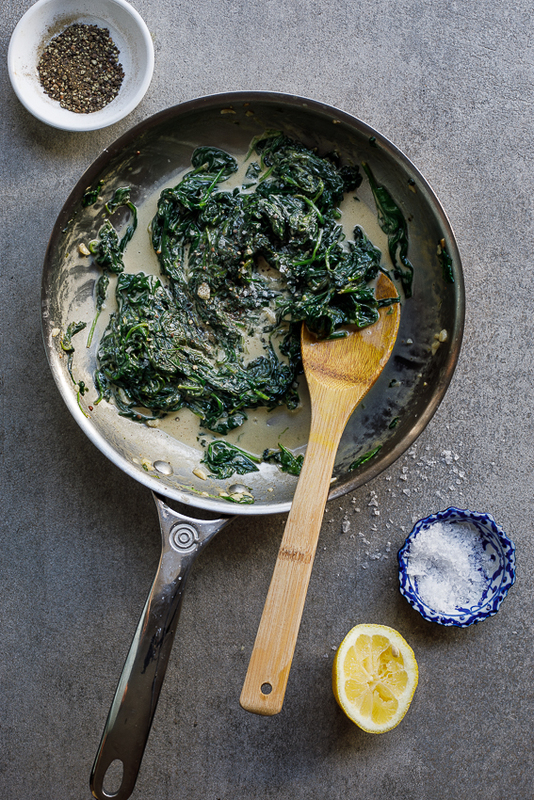 Sauté spinach (baby spinach leaves can be left whole, larger leaves can be roughly chopped with tough stalks removed) with the garlic and spices in butter until wilted then add the cream and lemon juice and allow to cook until the cream has thickened and the spinach is completely cooked. Season to taste and serve. 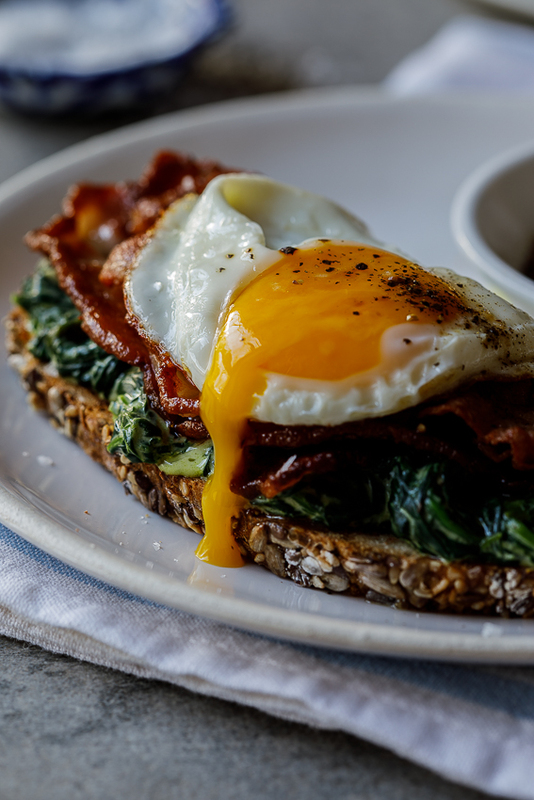 What to do with leftover creamed spinach? Melt the oil and butter together then add the garlic and allow to gently cook until the garlic is soft and fragrant. Add the spinach, salt, pepper and nutmeg and allow the spinach to wilt in the pan. Pour over the cream and lemon juice then allow to cook for another minute or two until the spinach is cooked through. I treid this recipe tonight and it was so tasty. I served it with roast chicken and we licked our plates clean. The lemon is an absolute must, adds just the right amount of zing. Thanks! Yum! So glad you liked it Louise! I love this recipe Alida! Could i do this with any other vegetables? Thanks Diane! Chard and Kale would both work well when cooked like this. Could I use chopped spinach for this? I have an abundance of fresh spinach in my garden needing to be used. Could it really be that simple? I always thought creamed spinach was so much more complicated. Can’t wait to make this. 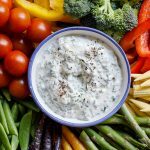 You could make it more complicated by making a white sauce first (this is how creamed spinach is classically made) and although I love it prepared that way, this recipe makes it an easy stand-by dish instead of one I only make every now and then. 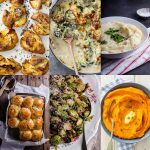 I am currently on a low carb diet and have been looking for delicious side dish recipes. This is definitely one I’ll try! 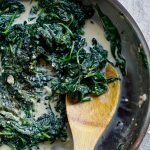 I LOVE creamed spinach Alida, so I’ll definitely be trying your recipe! It looks so easy! !